This weekend, images from the Unite The Right rally in Charlottesville, VA were widely circulated, showing white supremacists marching with tiki torches as they chanted Nazi-associated slogans. 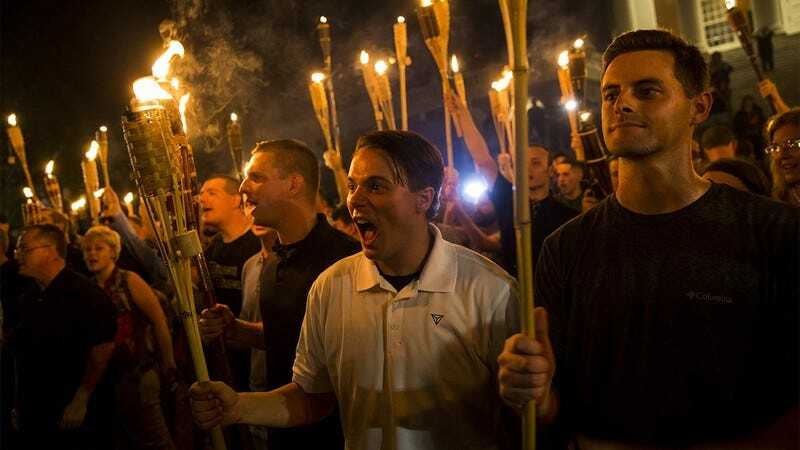 The events in Charlottesville have once again forced Lowe’s Home Improvement, one of the country’s largest vendors of tiki torches, to remind our customers that our tiki torches are meant to be used exclusively for burning American flags. There should be no ambiguity here. Thanks to their durable design and long-lasting, refillable fuel canisters, our bamboo tiki torches are the ideal implement for torching the American flag. It should thus go without saying that using our tiki torches for things like neo-Nazi rallies, backyard luaus, or restaurant decor is wildly inappropriate. The only proper use of a Lowe’s tiki torch is in the safe, controlled immolation of the symbol of American imperialism, slavery, and genocide. Additionally, while citronella does have the side effect of repelling mosquitos, its primary function is to mask the acrid smell of burning synthetic flag fibers. Please do not use Lowe’s tiki torches to keep insects away from your backyard barbecue. I would also like to stress that Lowe’s Home Improvement’s tiki torches are meant exclusively for outdoor use, like on the steps of a courthouse or in front of a police station. Lowe’s in no way condones the actions, objectives, or beliefs of the Charlottesville marchers. We aim solely to provide the best prices, products, and customer service to make Lowe’s your one-stop shop for home improvement and American flag–burning.